Elizabeth Whitney reveals some fun facts about this endearingly, bat-eared breed. Despite their name, “Frenchies” do not originate from France – they are descendants of British bulldogs. British bulldogs were originally bred for bull baiting until the sport was outlawed in 1835; dogs were trained to creep close to bulls then spring out to provoke them. After the bull baiting was banned, people began to breed smaller bulldogs, which became popular in some parts of the UK. When Nottingham lace makers, casualties of the Industrial Revolution, settled in Normandy, they migrated with their miniature bulldogs. Breeders in England sent over to France any bulldogs they considered to be too small or with faults, such as ears that stood up. These dogs became hugely fashionable over the channel and a trade in small bulldogs became popular. An image from ‘Bell’s New French Picture Cards’ by artist H M Brock, painted in 1925. These small bulldogs were bred with local ratters in Paris and gradually became considered a breed – the Bouledogue Francais. Originally, French bulldogs had rose-shaped ears, similar to their larger relative, the English bulldog. English breeders much preferred the shape, but American breeders liked the unique bat ears. Today, French bulldogs feature the bat-shaped ears American breeders fought to preserve. In the ‘Gilded Age’, French bulldogs became highly fashionable in American society amongst wealthy ladies who had spotted the trend in Paris. Dogs were sold for up to $3,000 and were owned by many influential families, such as the Rockefellers and J.P. Morgans. Other famous bulldog owners include Nancy Mitford, Yves Saint Laurent and D. H. Lawrence. They are still popular amongst the rich and famous today, from the Beckhams to Lady Gaga. Leonardo DiCaprio has one called Django and Hugh Jackman’s Frenchie is called Dali. French bulldogs can’t swim. Their short muzzle causes them to tilt their body backward to keep their nose and mouth above water and they have disproportionately large heads and short legs, which makes it difficult for them to stay afloat in the water. 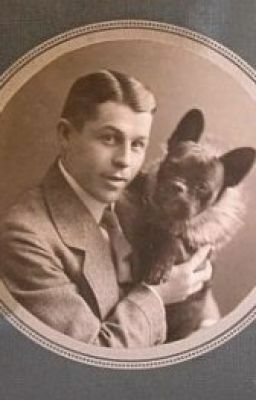 Gamin de Pycombe, a champion French bulldog, was one of the victims aboard the Titanic in 1912 – he’s even featured in the 1997 film. His owner, Robert Daniel, paid £150 for the Frenchie – almost £13,400 in today’s money. Like many pedigree breeds, French bulldogs can have health issues – most obviously breathing issues related to their facial structure. Some French airlines have even banned French bulldogs along with other brachycephalic (short-snouted) breeds, since breathing problems have even led to fatal situations in the air. If you are considering buying a French bulldog, it is imperative you go through the Kennel Club to find a reputable breeder who will minimise these breathing problems.